Krysalis Leadership will collaborate with members of your teams to design programs, which will develop leaders in your organization. Our goal is to have a leader in every seat! What do we mean by that? Everyone has a gift to share, and when they’re allowed to step forward utilizing that gift, they’ll naturally step into a leadership role. We generally desire to empower people to share their gifts with each other but we’re not always sure of how to do that. Often there are issues that come up such as competition, lack of trust, and communication problems. We will create communication systems that work through creating a safe environment for everyone’s voice to be honored and respected. As people are welcomed to contribute their voices towards solutions and processes, a synergy of creative juices will bring life back to any organization experiencing challenges. Krysalis Leadership believes powerful changes will come about through shared leadership and we’ll help your team create a system that will work for your unique organization. Kryalis Leadership will consult with your leaders on how to bring about more effective communication, collaboration and contributions towards successful planning and implementation by team members. We will identify how we can encourage participation by everyone to create a collaborative process within your organization. Identifying the difficult issues faced by team members will help us assess what we can be done to co-create the policies and procedures needed to resolved the conflicts and issues that arise in the day to day activities and communications within your company. Krysalis Leadership facilitate meetings, team events, conversations, strategic planning sessions, and other processes that help you meet your organization’s objectives. We will facilitate dialogues among your team players that will invoke trust, safety and honesty. Your company will change when each individual’s contributions and gifts are welcomed and respected. Everyone has a gift to share and they need to know that they feel heard and honored when they do. These group dialogues can be for the purpose of defining your vision and mission, working on strategic planning to develop goals for the company, to resolve conflicts or problem solve dilemmas within your company’s day to day operations. When needed to assist you in resolving conflicts, we can facilitate through a system we have defined as a healing circle. It’s an effective and powerful process where everyone who has been affected in the conflict safely shares the issues. Our experience is that healing comes through being able to speak what’s true for them and feel heard. As we continue discussing, the core issues start to reveal themselves; the group is naturally led to co-create the policies and procedures needed to relieve the tensions that came about from the conflict. Krysalis Leadership can support you in a process that is uniquely suited to you and the needs of your team or company. We will provide Collaborative Leadership training for ongoing learning for your team. We can train your leaders on how to facilitate productive and effective meetings that will allow everyone’s contribution to the success of your projects. We acknowledge the creative intelligence and leadership potential of every single person at every level of your organization. One of the principles of sharing leadership is rotating responsibilities, which allows for everyone to participate in leadership roles. Through training we can have other people be mentored and supported in these developing the skills to take on these new roles. When responsibilities are shared, benefits include lifting the weight off the few who are overwhelmed with their leadership roles. Additionally everyone is excited to participate as equals and will feel the satisfaction that their contributions are valued. Ongoing support from Krysalis Leadership will assist your leaders in developing these new practices. It’s very rewarding to develop this shift, however it is a process to shift the structure of your organization to a co-creative team and it will take time and effort to make this transition. As challenges arise, we can provide the support you need for a successful venture into the collaborative leadership model. 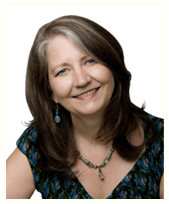 Kris Steinnes is the visionary founder of the Women of Wisdom Conference, empowering women since 1993. 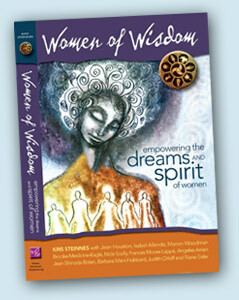 The 21st Annual Women of Wisdom Conference is Feb. 14 – 18, 2013. Kris Steinnes is a teacher in the Training in Power™ Academy, which teaches a unique energetic healing system, incorporating a meditation system that engages the ‘active mind’, and healing practice. Learn how to safely manifest a life of passion and personal wellness. Kris Steinnes authors the column, A Woman of Wisdom for Aspire Magazine, which shares its journey with women from all walks and stages of life. Powerful stories, experiences and joys found in other’s personal journeys are published in each Aspire issue. We will reclaim the feminine and our wise woman unique gifts and learn how we can utilize them to manifest your purpose and contribute to the healing of the planet.